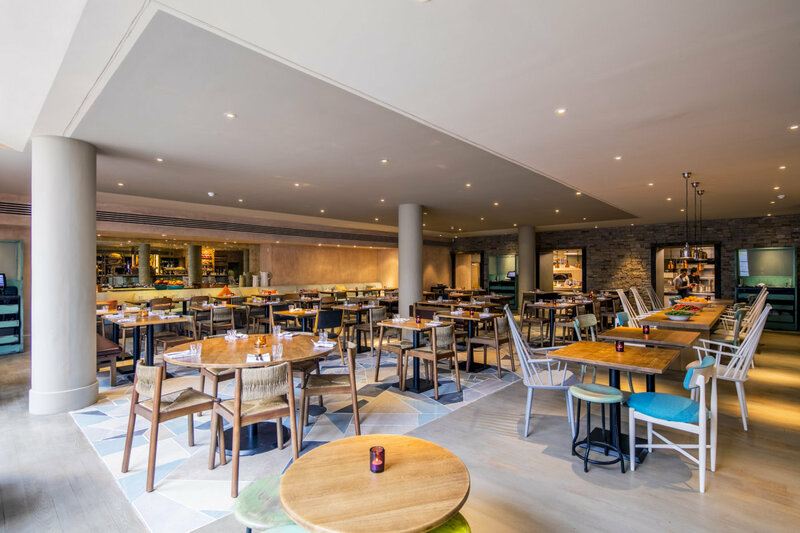 Highly acclaimed designer David d’Almada of Sagrada creates the perfect rustic design for renowned chef Francesco Mazzei’s new Italian Trattoria style restaurant, Radici. 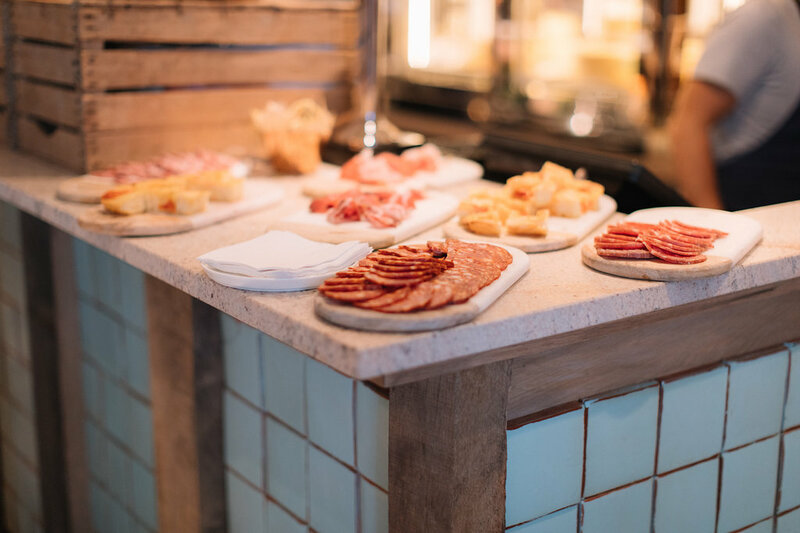 Radici translates to “roots”, and reflects the Calabrian cuisine of Francesco’s heritage, combined with a laid-back, modern interior that perfectly evokes the sunbaked, rugged landscapes of Francesco’s native Calabria. Clean organic shapes, natural colours, and iconic Italian tuff stone fill the space, while hints of blue in the furniture and crockery run throughout. We take great pride in contributing to this project by providing the granite counter top, in a textured finish for a “worn-out” effect, and the coloured floor tiles that were broken up and put back together in “al fresco” style in the focal bar area. The combination of d’Almada’s understated design, coupled with his selection of stone, textures and finishes, creates and enhances the relaxed and welcoming atmosphere of this space. Materials: Crema granite (satinato) and a mixture of floor tiles.